For the 2 Creative Chicks Showcase I created a watercolor card. I made this card for a dear friend to let her know how much I appreciate all she has done for me. I know my coloring still has a long way to go but I'm having fun learning. I stamped the one of the Betsy Bluebell stamps on Ranger Distress Watercolor Cardstock. Used the Kuretake Fude Real Brush Pen, Clean Color pens to color in the stamp. 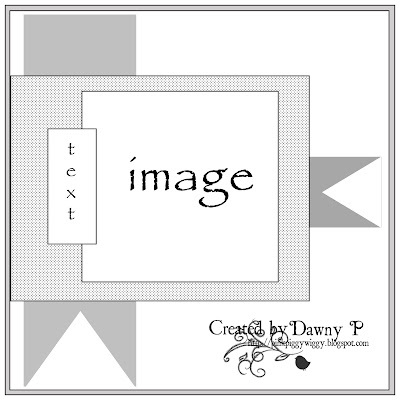 From the My Creative Time Dies (4x4 Journal Die + More) I used the large die to cut the colored image out. 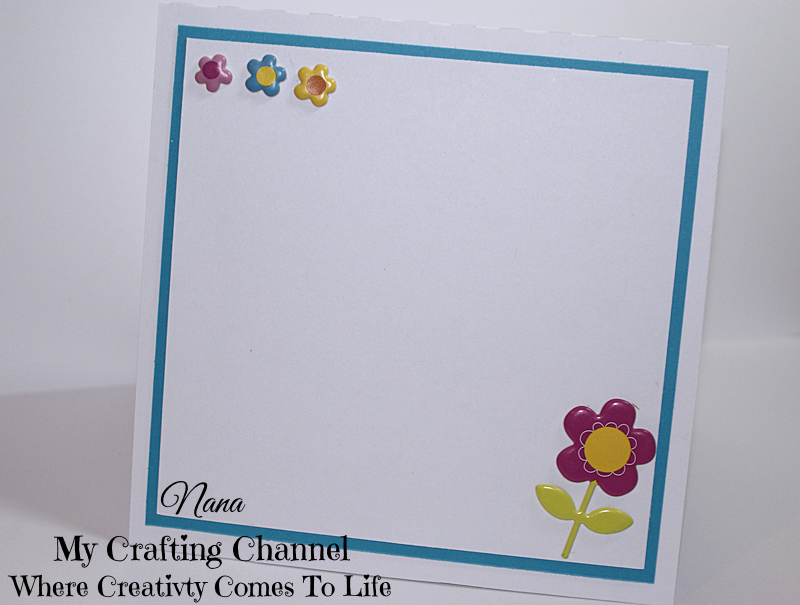 I cut the word thanks from the My Creative Time Happy Thoughts Stamp Set. Then added Wink of Stella Clear Glitter to the word thanks, dark blue parts of her dress, the butterflies and the middle of the flowers. The card as well and the front and inside layers were cut using the Silhouette. The flowers on the inside were some embellishments the receiver of this card sent me. For the Silhouette Challenges I made this fall card. I followed a Sketch for a challenge over at Papertake Weekly Challenge. I created a card base and then created the layers and banners by flood filling them with Digi papers. The sentiments Hello Hey Hi by Karla Dudley and'A Thankful Heart is a Happy Heart' phrase by Lori Whitlock was also printed on the layers at the time of printing for the front and inside. The Scarecrow Girl Fall Autumn PNC by Stinkin Cute Paper Piecings was cut 3 times and layered so she would pop up a little. The Fall Leaves by Lori Whitlock were sized at 2 sizes for the front and inside of the card. The ones on the front were glued under the scarecrow girl and the the ones on the inside were glued to the bottom right corner. I added some Wink of Stella Clear Glitter to the leave and parts of the scarecrow girl. Amazing cards!! Both are ADORABLE!! I love the image of the little girl..so SWEET! Both of your cards are fabulous! I love the images you used! 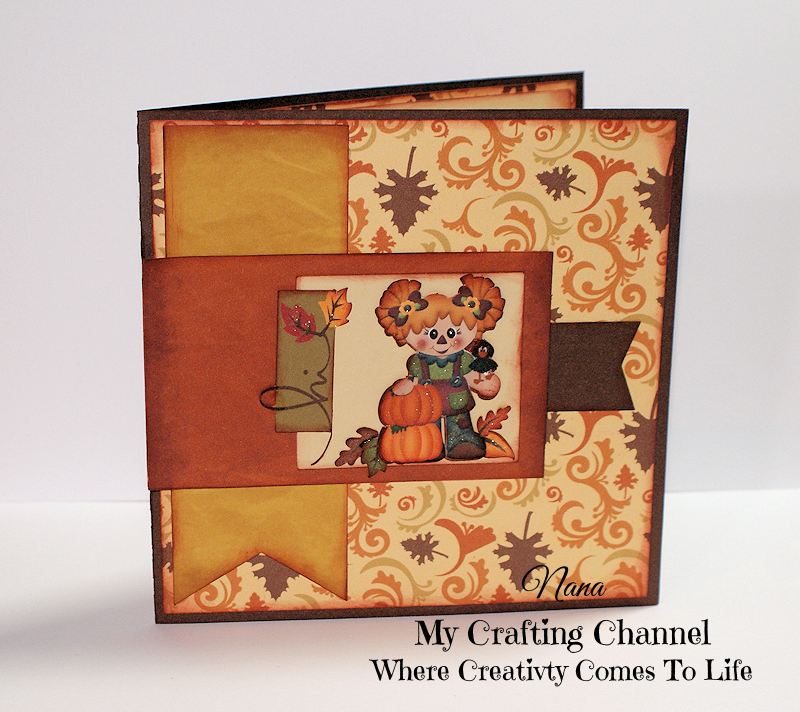 Your first card is so sweet and the fall themed card is gorgeous with those lovely papers! Have a great day! Beautiful work! The first card is super sweet, that little girl is just darling. Your second card sure gets me in the mood for fall to arrive in my neck of the woods. The color are so pretty and the little scarecrow girl is super cute! Beautiful Thanksgiving card I love how you finished off the inside and the wink of stella looks great with this color combo. I love it. Super cute cards Nana! The image on the first one is so darling and I love the sentiment off to the side! The second card is so sweet and I love the pretty fall papers! Great job! What a gorgeous cards!! Love them both!!!! Have a great day. Both cards are so cute! I love the images, you colored the little girl perfectly and I love the cut out thanks. The Fall card has such beautiful warm colors and the little scarecrow girl is darling. These cards are so beautiful. I thought I had commented here. Must have been on FB. Love your coloring. Don't you love that MCT die? And your fall card is so pretty. Love the sparkle. These are both great cards!!! !